NEW ORLEANS, La. 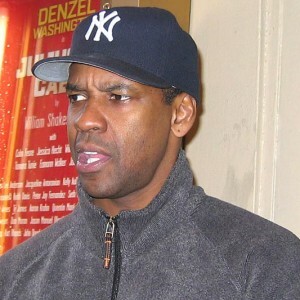 — Oscar-winning actor Denzel Washington urged graduates at New Orleans’ Dillard University to “put God first,” stating that in his own life, he knows that all he has achieved is by the grace of God. Washington, 60, known for his roles in films such as “Glory,” “The Preacher’s Wife,” “Remember the Titans” and “Training Day,” presented a brief 11-minute commencement speech to students that often focused on faith. Washington urged those gathered to make God the center of their life. But the actor also exhorted graduates to remember that material goods aren’t everything. He encouraged graduates that the desire of their heart—if it is for good—is given to them by God to help others. Washington, the son of a Pentecostal preacher, told GQ Magazine in 2012 that he reads the Bible each day. He also stated in 1999 that he has contemplated at times whether he is called to preach.